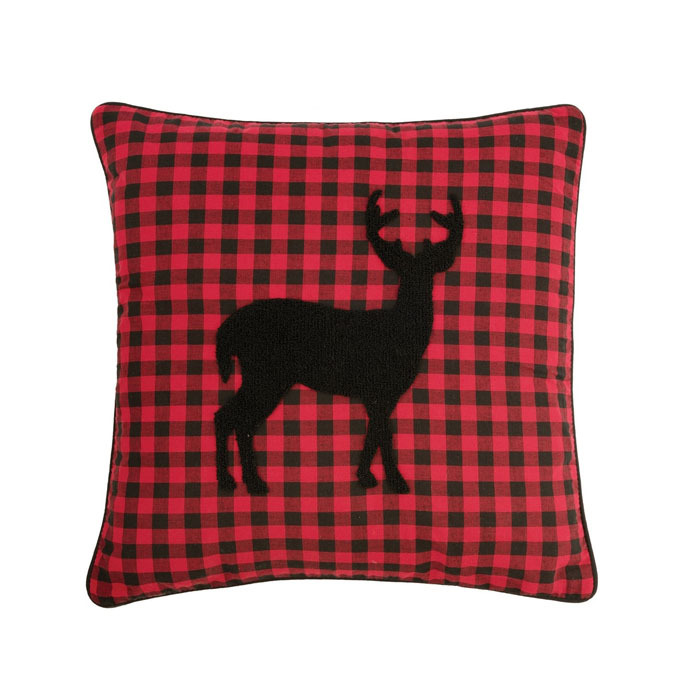 Accent pillow with a deer tufted in black on a red and black checker background. Product: 1 pillow. Product Measurements: 18 x18. Material: Cotton. Care instructions: Spot Clean. Maker: imported, made by C & F Enterprises.